Ms. Bowers was born in Lancaster and received her diploma in Nursing at Cabarrus Memorial Hospital School of Nursing in Concord, North Carolina, her Bachelor of Science in Nursing at Wingate University in Wingate, North Carolina, and her Masters of Science in Nursing from Graceland University in Independence, Missouri. She is a certified Family Nurse Practitioner, certified Wound, Ostomy, and Continence Nurse, certified Diabetes Educator, and certified Rehabilitation Registered Nurse. She has practiced as a nurse practitioner for 15 years and is currently at Catawba Family Medicine in Richburg, South Carolina. She is a former recipient of the South Carolina Nurse Practitioner of the Year and Nursing Excellence Award. The Physician Assistant Program sends a very heartfelt thank you to Ms. Bowers for making such a difference for the students and their future patients. Funded by the Department of Health and Human Services, the Rural Interprofessional Student Experience (RISE) is a partnership between the South Carolina AHEC and MUSC College of Health Professions Physician Assistant Program. The RISE program provides PA students with an intensive two-week opportunity to transition from the classroom to clinical phase of their education by providing introductions to the healthcare delivery system, exposure to rural and medically underserved communities, and interprofessional experiences across the state. 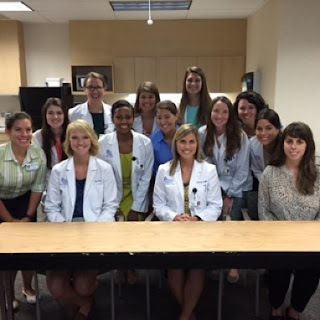 While at the hospitals, the students observed interactions among numerous units in the healthcare system as it dealt with challenges of providing healthcare to the rural population of South Carolina. This educational experience was provided through observational learning, discussions with clinicians, staff, technicians, and patients involved in the system of care within rural and medically underserved areas. All four South Carolina AHEC regional centers participated in this year’s RISE program. Below are some highlights. Students also had an opportunity to tour the Veteran’s Victory House in Walterboro to learn about the federal and state-funded 220-bed facility that serves the long-term care needs of South Carolina veterans. Mid-Carolina AHEC hosted 18 students and included speakers such as Janice Dabney, CEO of Springs Hospital, who spoke on hospital economics. The students also learned about mental health in private practice, telemedicine/telestroke, psychology, diabetes in private practice, and START triage (Simple Triage and Rapid Treatment). Mid-Carolina finished the day with homemade ice cream for the students and coordinators. Along with the Pee Dee AHEC health professions student coordinators and the eight hospital coordinators, these PA students observed and learned numerous aspects of the application of medicine and the rural hospital infrastructure. 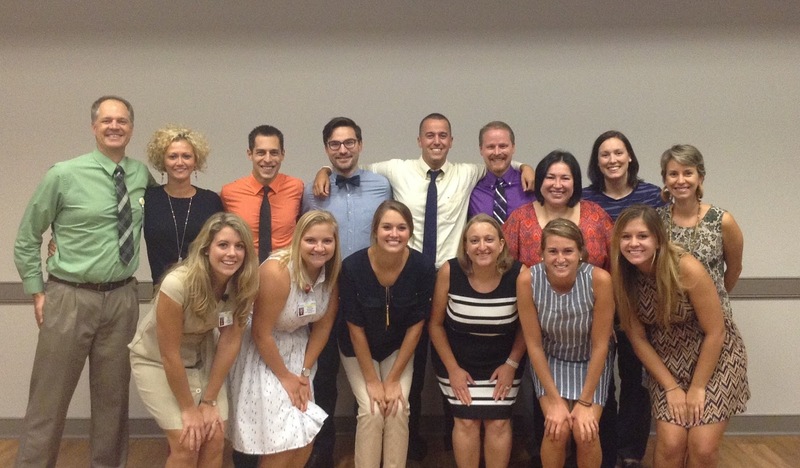 The students lived and worked in the community for two weeks as a precursor to their year of clinical rotations. 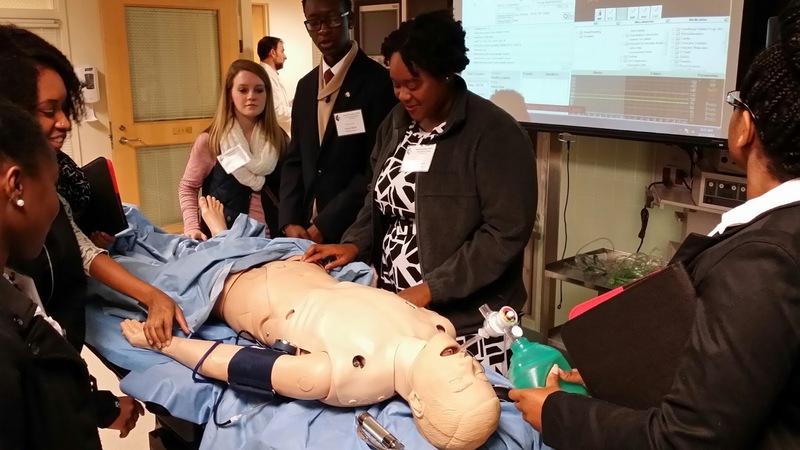 Because the hospitals are two of the more rural hospitals in the Upstate region, students were able to get an excellent idea of the realities of rural medicine. The annual American Academy of Family Physicians’ National Conference for students and residents was held on July 30-August 1, in Kansas City, Missouri. Residents, faculty and staff from each of the eight South Carolina family medicine residency training programs attended. The conference affords medical students an opportunity to learn more about family medicine residency programs, attend educational sessions, and participate in several hands-on learning opportunities. Areas of focus included transitioning into practice, musculoskeletal clinics, and procedural skills courses. 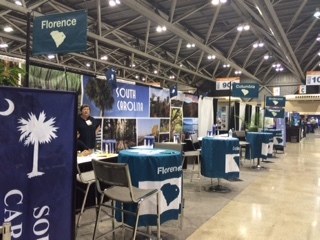 Throughout the conference, all eight of South Carolina’s family medicine residency programs stayed busy at the recruiting booth, meeting medical students and explaining the benefits of completing residency training in South Carolina. This year approximately 150 medical students from around the country visited the booth and were eager to learn more about South Carolina and our outstanding residency programs. 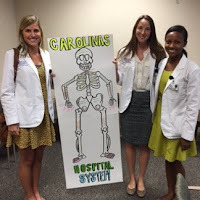 This year’s conference was a success for each of South Carolina’s family medicine residency programs and for the residents and students who attended. Special thanks to Kristin Cochran, Director of Recruitment and Retention and Student Programs for the South Carolina AHEC and Jeannie Lenberg, Spartanburg Family Medicine Residency Program Coordinator, for their help in the planning and organization of this year’s event! For more information about South Carolina AHEC’s Family Medicine Residency Programs, visit www.scahec.net. Mid-Carolina AHEC had the opportunity this summer, in collaboration with the U.S. Department of Health and Human Services Region IV Public Health Training Center located at the Emory University Rollins School of Public Health, to offer the “Pathways to Practice Scholars” program in the Midlands region. This program provides an opportunity for public health students to gain practical experience working with seasoned public health practitioners serving or working on behalf of underserved communities or populations. All field placements are intended to enhance students’ professional skills and knowledge while giving them the opportunity to use skills learned in the classroom. Broad areas that can be addressed during a field placement experience are epidemiology or biostatistics, health policy, health management, health promotion and education, global health, health communications, environmental health, and refugee health. University of South Carolina MPH candidate Andrea Gibson worked with Lovelace Family Medicine and Newberry County Memorial Hospital to generate and publish resources for maternal health. As part of her activities, Ms. Gibson created a website entitled “Carrying to Cradle: Resources for Healthy Pregnancies and Healthy Babies.” She also looked at infant mortality rates and primary C-section rates, comparing those of Dr. Oscar Lovelace’s office in Prosperity, South Carolina to those in the rest of the state and in other parts of the country. Her research has shown that rural medical practices can provide good quality of care, as shown by Newberry having one of the lowest infant mortality rates in South Carolina. Mid-Carolina AHEC Health Professions Student Coordinators Julie Ghent and Jeff Cauthen are pleased to have been a part of connecting Ms. Gibson with a community that can benefit from her skills and interests. For more information, contact Mid-Carolina HPS Coordinators Julie Ghent (jughent@comporium.net) or Jeff Cauthen (jcauthen@comporium.net). Lowcountry AHEC is offering continuing education programs statewide via the SCHOOLS videoconference network to meet the needs of local healthcare providers. An upcoming program entitled “Legal Aspects of Documentation in Nursing” will take place on October 20. This statewide program was planned at the request of four hospitals. Lowcountry AHEC is coordinating with Upstate AHEC, who will host the program’s presenter, Pam Collins, MSN, CMSRN, RN, from their location in Greenville. The legal aspects program will comprehensively examine the legal considerations of patient documentation. This course will provide insight on how to chart in a manner that is effective and legally defensible. The course content includes key sources of litigation for healthcare professionals, how medical records (electronic and traditional) are interpreted/analyzed, and effective use of flowsheets and charting by exception. Actual cases will be reviewed as part of an eye-opening mock deposition. Licensed nurses, nursing faculty, nursing students and any healthcare professional who compose patient documents are welcome to attend. For more information and to register, please visit www.scahec.net/schools. Anderson native Lauren Taylor has joined the staff of Upstate AHEC in the newly created position of database manager and student services associate. In this role, Ms. Taylor will be in charge of Upstate AHEC’s database operations and maintenance. In addition, she will spend half her time working directly with the Health Careers Program and Health Professions Student program coordinators focusing on marketing strategies and program development. 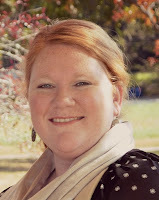 She looks forward to working with a range of students in the Upstate area. Ms. Taylor holds a bachelor’s in communication and a MBA from Anderson University. 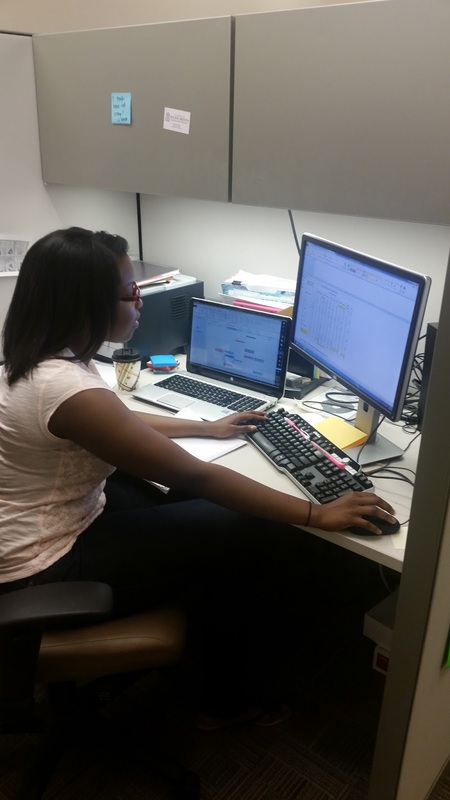 Her work experience includes database management, professional marketing and public relations, project management and strategic planning. A self-described “nerd” when it comes to data and research, she also possesses a creative side reflected by her entrepreneurial success as owner of an artist’s paint shop, where she creates a variety of hand painted gifts and wall hangings. Ms. Taylor’s many hobbies include traveling with her husband Josh, cooking, painting and serving in a volunteer role among numerous non-profit charitable organizations in the Anderson area. Ms. Taylor can be reached at ltaylor@upstateahec.org. The Ninth Annual National Conference on Health Disparities will be held in collaboration with the 2016 National Environmental Justice Conference & Training Program, with the theme of “A National Dialogue for Building Healthy Communities.” The mission of the conference is to focus on policies, research interventions, and programs that address prevention, social determinants, and personal responsibility in reducing health disparities and promoting health equity and environmental justice. The Conference invites student submissions for a poster session. The session will be included in a Student Research Forum that will also include student roundtable discussions, a keynote address, and dynamic interactive workshops. Preferred abstracts will relate to the full range of health disparities and environmental health in the basic sciences, clinical sciences, population/behavioral/social sciences and environmental sciences. Students are strongly encouraged to focus on one or more of the following areas: cancer; cardiovascular disease; diabetes; environmental health; human trafficking/human enslavement; and infectious diseases.